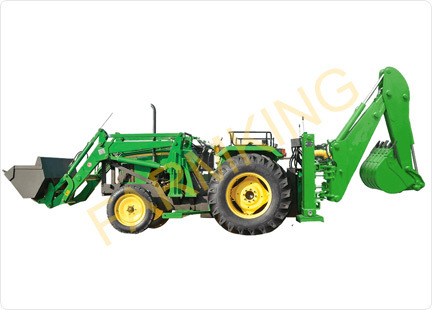 The Tractor Front Loader is meant for carrying heavy and medium load while the attached backhoe helps in bulldozing and tearing the ground or surface. It digs by drawing earth backward instead of lifting it with a forward motion. The machine is approved and tested on all international parameters and its arm is used as a crane mostly by slinging the lifted object from the support linkages bend the dipper. We make it available in standard size and in customized form to suit our client requirement. Bucket Size 6 Ft. X 32"
All Over Height 15.5 Ft.